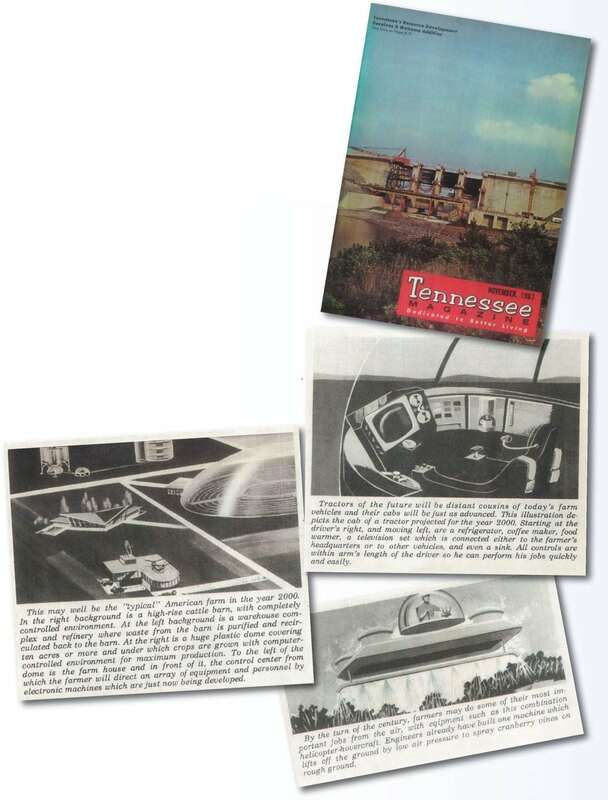 This month, we found an unusual article in the November 1967 issue of The Tennessee Magazine and wanted to share. “Agriculture: Year 2000” predicts the future of farming in America, the equipment farmers will use and the technological progress achieved just 33 years into the future. The Jetsons-like illustrations caught our eye and got us reading the story, which dealt largely with feeding a growing world population. We read with great interest — and some amusement — at the predictions of a world we have now surpassed by 17 years. The article caused us to reflect on how eager we are to forecast the changes of an ever-turning world with all its unpredictable complexities. Highrise livestock barns, for instance, though now used in countries like China, have yet to conform to American regulations. 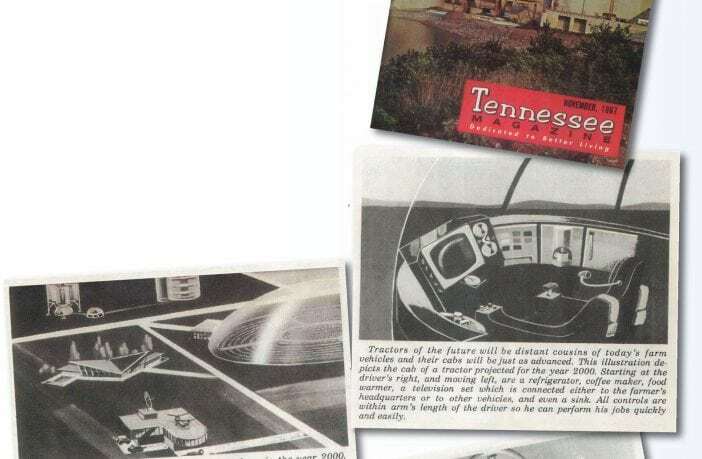 One peek into the cab of a modern tractor, however, will reveal a cache of computer screens and all the modern conveniences the 1967 article predicts. So enjoy this time capsule of sorts — a glimpse into the past as we envisioned our future. And as tempting as it may be, we’ll try and resist predicting anything about the world 50 years from now. View the entire November 1967 edition below.